In light of his expertise with youth, community leadership, and entrepreneurial success, the Mayor of Detroit appointed Shawn to the City of Detroit’s Mayoral Cabinet as the Director of Youth Services. During his tenure he successfully led citywide youth initiatives and served as the Liaison between the White House and the City of Detroit for President Barack Obama’s “My Brother’s Keeper” Initiative. Today Shawn is coined the Mentorship Specialist and an execution expert according to Forbes Magazine. He’s married to making the lives of others better. He’s the CEO of Lion’s Dream Publishing, Creator of Author Speaker Secrets Academy, Co-Owner of a custom suit company, a Best-Selling Author, Speaker, and an active member on a number of boards. 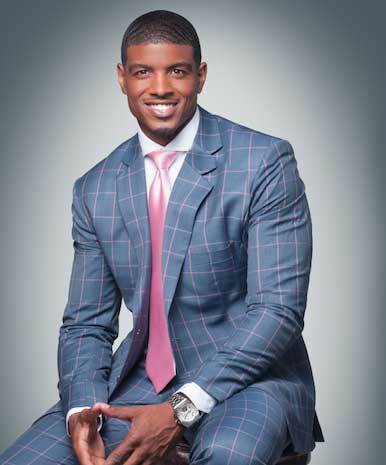 He has recently finished a 42-stop national book tour with his best-selling book, “How ‘Bout That For a Crack Baby: Keys to Mentorship and Success.” During the tour he provided multiple scholarships, dozens of custom suits, and hundreds of ties to young leaders. Shawn has also been featured as Essence Magazine “Man of the Month”, Black Enterprise “BE Modern Man” and has been recognized as one of America’s Top Millennial Influencers by the Next Big Thing Movement. "Shawn provides valuable and insightful strategies, resources, and information, that is purposed to benefit and cultivate the minds of his audience regardless of their expertise or background. Shawn believes that everyone is a student to some teacher and life's answers are all around us. His engagements consist of inspiring speeches with antidotes that leverage his expertise as a mentorship specialist and a variety of panels. The panel topics range from mentorship, leadership, entrepreneurship, education, and the art of being a gentleman. From January - May 2017, Shawn will be participating in the How 'Bout That Tour: The Science of Mentorship and Leader. Upon booking Shawn for your event you will receive the following benefits. 5 Benefits for HBT Tour Events 1. Inspirational talk and practical takeaways through a talk/conversation with the Mentorship Specialist 2. An opportunity to purchase the best seller, “How ‘Bout That For a Crack Baby: Keys to Mentorship and Success” 3. Two (2) books (Select audience members only) 4. Five (5) ties (Select audience members only) 5. One (1) custom suit (Select audience member only)"